You're the master of the party when you walk around with this bad boy in hand! 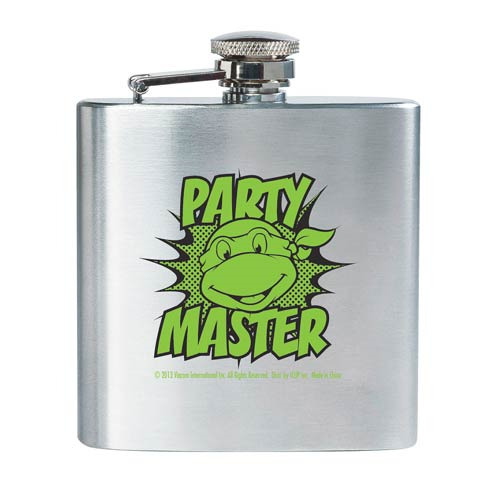 This Teenage Mutant Ninja Turtles Party Master Flask features a cool image of a a Ninja Turtle with the words, "Party master." It's a must-have for all Teenage Mutant Ninja Turtles fans and Party Masters! Hold up to 6 ounces of liquid! Ages 21 and up!